On 16 April 1853, India’s first train commenced its operation. Mumbai Locals are the busiest railways in the world and carry about 2.2 billion passengers every year. Mumbai also has the most obsolete electric rail chain in India, which was installed in 1925. It was on 15 July 1926, that the first ever bus service in India was started. The first route was ridden between Afghan Church and Crawford Market. Antilia, Mukesh Ambani’s 27-story skyscraper is cited as the world’s most expensive house, valued at almost $1 billion. The business tycoon moved into the 400,000 square feet mansion in 2012 with his wife and three children. Officially known as Rajiv Gandhi Sea Link, it has a length of around 5.6 kms. It was made with 90,000 tonnes of cement and steel wire equal to the earth’s girth. 5. We all know that it was called Bombay earlier, but you know why? When the city was in the hands of the Portuguese, they saw it was a natural water bay. Hence, they called it ‘Bom Bhaia’, which is the Portuguese term for ‘good bay’. Later, Bombay was given to the British as dowry when a Portuguese princess married an English prince. They renamed the city Bombay. And that’s how the city got its name! Although now connected, the islands that formed ‘Bombay’ are Isle of Bombay, Colaba, Old Woman's Island (Little Colaba), Mahim, Mazagaon, Parel and Worli. It took over 5 centuries to unite them together to form an emotion called ‘Bombay’. These were famous fishing centres and some of these communities are still active. Mumbadevi, the patron goddess of the fishing community inspired the name ‘Mumbai’. ‘Mumba’ is the name of the goddess and ‘ai’ is mother. The Mumbadevi temple is situated in Bhuleshwar. Not many people know about its vast coastline. Right from Marine Drive to Aksa Beach, Mumbai has huge coastline. Marine Drive is beautifully embellished with the ‘queen’s necklace’. 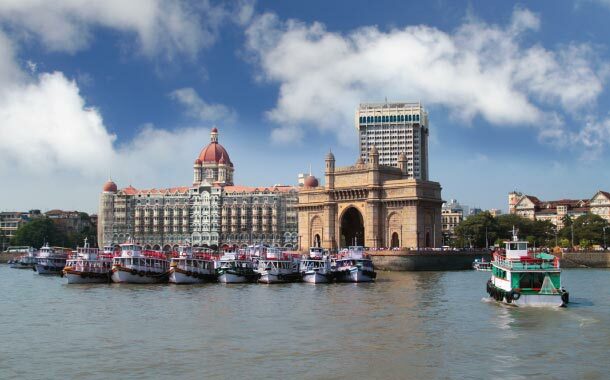 According to a lot of travellers, Mumbai has shown helpful attitude many times over. It has endured a lot of pain through terror attacks and natural calamities, but even in those hard times, it has not failed to lend a helping hand. It was in 1863 that the Mumbai-Pune railway line was built by Alice Tredwell, wife of Solomon Tredwell. Rudyard Kipling, the Nobel Laureate who wrote The Jungle Book was born on 30 December 1865 in Mumbai. Kipling's birth home still stands on the campus of the J J School of Art in Bombay which was used as the Dean's residence for many years. The first person to own a car in India was the great Sir Jamshetji Tata, the founder of the Tata empire. It was in 1901 that any India brought a car. This is not news! Mumbai is so densely populated that finding an empty space is next to impossible. Mumbai is one of the busiest, cramped and highly populated cities of the world. It is highly vulnerable to traffic. A large amount of migrating population of flamingos is found in the swamps of Sewri and Bhandup. Between the months of October to March, a lot of birding enthusiasts and photographers march to these marshlands with their props. 15. Mumbai's Juhu Aerodrome was the first airport in India founded in 1928 and Chhatrapati Shivaji International Airport is the 3rd best international airport in the world. No doubt Mumbai is a fast growing city. Its also a leading city when it comes to the aviation industry. Check out the top weekend getaways here at Musafir.com. The best way experience Mumbai's high-spirited attitude bundled with an overriding fervour is by buying yourself an air ticket and exploring her charm for yourself. We even have some exciting flight offers for you to get you started.